Sometimes it seems like there’s a celebration around every corner and other times our child’s accomplishments go completely unrecognized. So, what’s the key to celebrating milestones? Should we catch everything? Is it up to the schools, teams, and organizations? What’s a parent’s role? 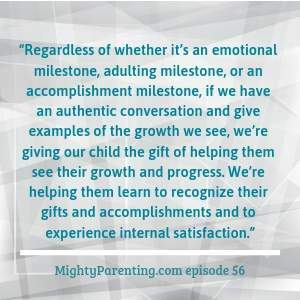 Mighty Parenting podcast hosts Judy Davis and Sandy Fowler evaluate the current culture around celebrating milestones. Regardless of whether it’s an emotional milestone, adulting milestone, or an accomplishment milestone, there are things parents need to know and questions to be asked. Find out how you can use these milestones to help your child grow and become emotionally strong. Milestones and anniversaries can enrich and empower our kids and it directly impacts their self-esteem. Problem with participation trophies are that they can create an entitlement mentality and we are teaching our kids that they just have to show up and don’t have to make an effort. When we celebrate simply participating in something, we miss the opportunity to focus in on what makes our kids unique, on the skills they have that set them apart from others. When we treat every milestone, every anniversary, with the same intensity, we aren’t helping our kids to understand when they made a real effort. Having a constant flow of external reward teaches our kids to look outside of themselves for gratification. We’re not teaching our kids to recognize their gifts and talents and to feel good about their efforts and achievements. Before an award ceremony, ask your child how they feel about their performance that year or that season. Afterward, whether they got an award or not, ask them how they feel about it. Choose which milestones you want to celebrate and be in touch with your child so you know what they believe is worth celebrating. At the beginning of a year or a season, ask them what their goals are, what’s important to them. Then put our energy into supporting them as they go for it. Many of the most successful entrepreneurs struggled in school or even failed. But they learned to recognize themselves for the accomplishments that were important to them. When they reached those, they recognized a job well done and let that motivate them to continue striving for goals. Not worrying about naysayers, being internally motivated, and being able to recognize yourself for a job well done, leads to happiness. Our goal as parents is to recognize and point out things our kids are doing right. We can get caught up in society’s priorities and focus on those but it’s better if we look inside our family and to our child to determine what’s important and recognize that. Find out from your child what makes them feel like they succeeded. Success isn’t always about working hard. Our most innate gifts and skills, while they require practice, they don’t necessarily require us to work hard to do well. Success isn’t always about being the best or reaching your goal. Sometimes success is just putting in the effort, even if you fail. We need to teach our kids how to self-assess. When they feel from within that they did well, we need to nurture that. Then celebrate the things that really resonate with your child. Have a conversation with your child about why you’re celebrating and how they’d like to celebrate. There are milestones of development, of growth, of becoming an adult. Many of those rituals and celebrations have been lost but our children still need these times in their lives to be recognized. Celebrations don’t have to be an all-day affair. It can be going out for coffee or lunch. Taking a moment to recognize their growth means the world, even if it’s just a simple, authentic conversation. This recognition gives our kids confidence. Regardless of whether it’s an emotional milestone, adulting milestone, or an accomplishment milestone, if we have an authentic conversation and give examples of the growth we see, we’re giving them the gift of helping them see their growth and progress. We’re helping them learn to recognize their gifts and accomplishments and to experience internal satisfaction. What and how should we celebrate? Celebrate when someone feels good about something that’s happened. How can be anything from a hug and a smile up through a huge party. The key is look at your child and your family and celebrate in a way that’s meaningful for you, not what society says you have to do. We’re changing the face of parenting by getting ahead of these problems. Our community is looking at parenting in a whole different way. Judy Davis aka The Direction Diva is a sought after motivational speaker, entrepreneur, author and host of the Mighty Parenting Podcast. She is a small business and teen suicide prevention expert as well as an influencer in the military spouse community. Judy is passionate about providing programs and resources to families across the nation and is the CEO of DASIUM – a brand leading the way in depression, addiction and suicide prevention in teens and young adults. A recipient of the 2016 Dove Real Beauty Award, Judy has also been quoted, featured, and profiled in a variety of publications and interviews including Smart Money Magazine, Hiring America TV, The Jim Bohannan show, Dr. Laura Berman Show, and more. She is regularly featured as a parenting and military lifestyle expert/guest on radio shows, events and panels highlighting the challenges and issues facing families today. Sandy Fowler helps people take back their lives. She works with women and small business owners, teaching them how to make powerful choices that let them leave stress behind and live a joy-filled life. At Mighty Parenting she helps parents make powerful choices that reduce stress while improving parenting and emotional wellness. At DASIUM, she guides parents and organizations in preventing depression, addiction, and suicide in teens and young adults. She has been quoted on Lifetimemoms.com and SheKnows.com, featured in a cover story in the Detroit Free Press Twist Magazine, published in Mompreneur magazine and the Clarkston News. 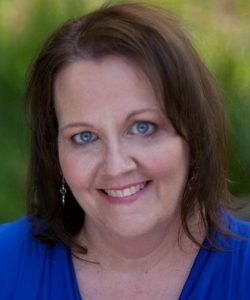 Sandy is a co-creator of The Keys to Getting What You Want: 4 Little Known Communication Secrets, and the creator of the Calendar Magic coaching program. She authored two books that use her principles to guide moms through the holiday season. She is a co-host of the Mighty Parenting podcast. 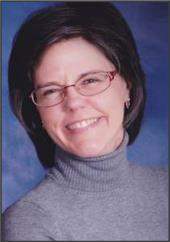 Sandy loves to spend her free time camping, hiking, reading, or playing games with her husband and daughters. You can connect with her at SandyFowler.com. Warning Signs: Is Your Teen At Risk?